This was a lock up premises in 1916. 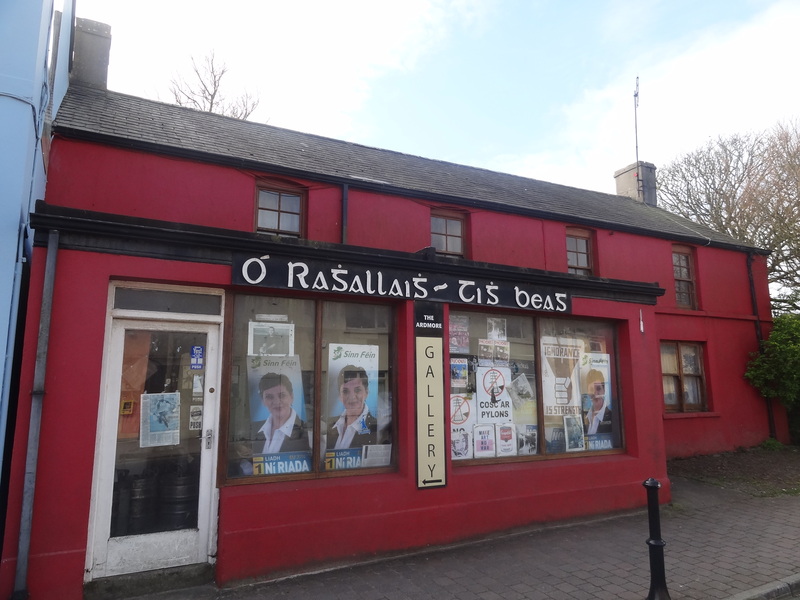 It was owned by M.J. Fleming & Co. Ltd., who were general merchants from Youghal. M.J.Fleming also owned several ships one of which, The Nellie Fleming, was shipwrecked on Curragh Beach in 1913. The bare remnants of the ribs can still sometimes be seen at the top of the beach after a south-easterly wind. The Ardmore business was managed by William Foley, a relation of Ellen Foley; William and family lived in the thatched cottage next door while his aunt, Ellen Foley, ived in Fountain House alongside. The premises were used by the IRA on two separate occasions in the 1920s to attack the RIC Barracks opposite, now Whitehorses Restaurant.